Gas blocks for the AR 15 come in a variety of different flavors. From the venerable A2 style to adjustable types to the ones with a Picatinny rail on top. The world is your oyster when it comes to the type you desire, but the lightweight low profile gas block seems to be all the rage. It should be functional, minimalist, and as light as possible. Oh, and it shouldn’t impede the installation of a free floated hand guard in any way..
Bill Geissele is known for his triggers, but he’s a man of many talents, and various other bits, parts, and tools are also in his portfolio. He was kind enough to send me a Super Gas Block to test out. Two varieties exist, the first being the standard edition I tested. Or for $10 more, you can have the nitrided version for your all black build. Installation is a snap and like I expected, it fit perfectly. The Geissele model also includes a 3/16″ pin used for their “Bombproof Installation” detailed here. That particular step requires drilling your barrel to install the pin, a step I did not take on for the purposes of this build. T With the “Bombproof Installation” pin, the whole system weighs in at 1.7 oz. 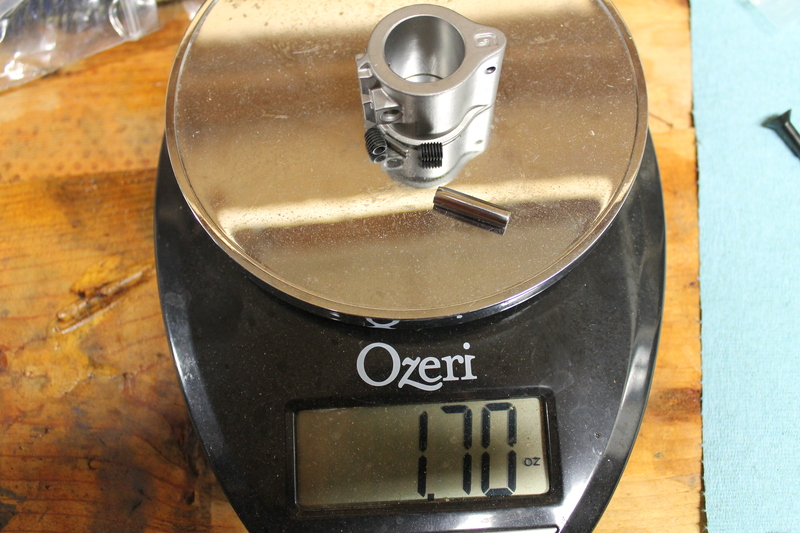 Without that pin, gas block and hardware weigh in at 1.6 oz. That’s about as light as it gets before things start to get a little crazy. I’ve read about people chopping down gas blocks to get the lightest thing possible, but I imagine there’s some diminishing return to go down that path. And given the fact that the gas block is containing lots of hot gases intent on escaping an area where I normally place my support hand, I’ll take reliable and steady for the cost of a few ounces. The only other lighter model I’m aware of is the VLTOR set screw type which claims 1.4 oz, but I haven’t verified that. So for now, this is the lightest gas block I’ve ever tested. And 1.6 oz is certainly light enough for most people. Once installed and peeking out slightly from a free floated hand guard, I found my Geissele Super Gas Block equipped AR 15 to run perfectly just like it did before, a fact that pleased me to no end. I also appreciated the silver looking finish to contrast with the all black barrel and hand guard. That may not be your particular cup of tea, but I thought it looked cool, and I’m pretty sure looking cool is something everyone wants no? I find it hard to go on and on about a gas block. But when you’re trying to shave ounces off a rifle build without sacrificing function, you can face some challenges. 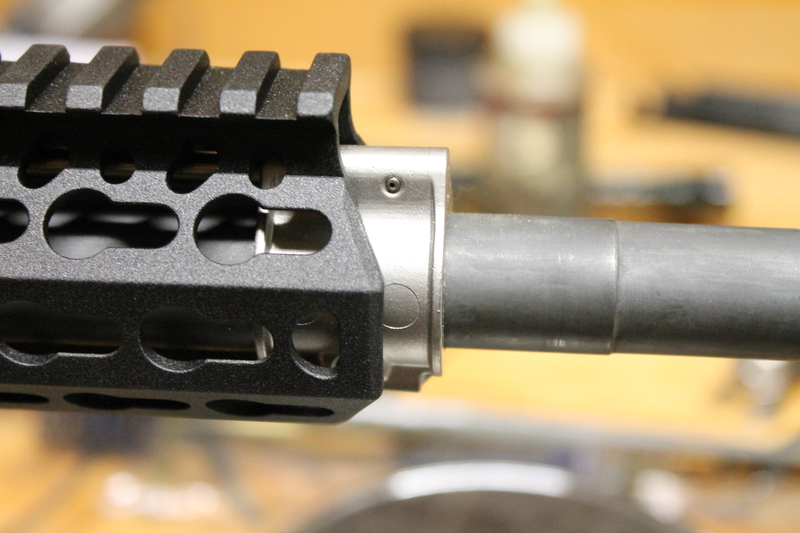 The Geissele Super Gas Block works very well, reduces a little weight, and doesn’t cost a fortune. It also happens to look good doing it. If you’re considering a gas block for your next build, give the Super Gas Block from Geissele some consideration. You’ll pay a bit more, but if light weight, good looks, and reliable function are what you desire, the Geissele gas block is worth it. Looks like some high quality MIM, there. What was that about trusting it to contain dangerous forces? Or is MIM trustworthy, now, or are those somehow not mold sprues on the side? Those are ejector pin witness marks, not sprues. Clearly a MIM part, but remember that many, many of the high stress, high temperature parts in aerospace applications are castings as well. It’s more important how a part was engineered around the production process. The Geissele Super Gas Block (SGB) is precision investment cast from 17-4 precipitation hardening stainless steel. MIM =/= Investment Casting. Investment casting is injecting molten metal into a mold. MIM is injecting metal powder along with a binding agent into a mold – the binding agent is then burned away during the “cure”. That being said, if Ruger trusts it enough to make stressed parts out of it on many of their firearms, I’m pretty sure it’ll handle the hot gases released into a DI unlocking mechanism. On the other hand, the point is moot simply because Geissele uses an investment casting – a different critter altogether. Looks good. A little leaner than my Troy, but not lean enough to replace it. Maybe on my next build. Someone will have to explain to me how that gas block is 3x better than the $22 YHM lo-pro gas block. It’s a hunk of metal for Chrissake. Lightweight lo-pro gas blocks are a dime a dozen…well, let’s just say there are lots of them for under $30. The angled top+bottom areas show it to be a Bravo Company KMR handguard. Very lightweight due to the aluminum/magnesium alloy it is made from. V7 even makes a replacement barrel nut for it that is machined from titanium and weighs half that of the factory steel version.